How much, when to pay, what to pay for and how to motivate directors are key questions to ask when a detailed framework of knowledge is required. 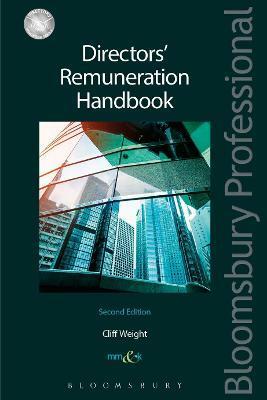 Directors' Remuneration Handbook, Second Edition provides this framework, the information and tools to answer these questions. It explains the complexities of directors' remuneration in simple terms, providing examples of best practice and up to date market date as well as a source of reference for key legislation. Directors' remuneration lies at the heart of the debate on effective corporate governance. This is the issue, above all others, in which directors face a conflict of interest. Whilst UK companies are considered to have very high standards of corporate governance and reporting, the economic crisis forced UK companies to consider where things had gone wrong and why. Whilst there has not been a raft of regulation following the economic crisis there have been significant consultations on the importance of UK companies to focus on the issues that matter to their long term success and to their shareholders. Disclosing clear, relevant information on these issues in company reporting is necessary if shareholders are to make well informed decisions in their role as company owners and to establish a clear link between a company's strategic objectives and the criteria for payments to directors. ABI and NAPF best practice guidance. Appendix 1 Extracts from Financial Conduct Authority Listing Rules; Appendix 2 NAPF Corporate Governance Policy and Voting Guidelines; Appendix 3 PIRC Remuneration Guidelines; Appendix 4 ABI Principles of Remuneration; Appendix 5 Joint Statement on Executive Contracts and Severance by the Association of British Insurers (ABI) and the National Association of Pension Funds (NAPF); Appendix 6 Voluntary Code of Conduct in relation to Executive Remuneration Consulting in the United Kingdom. Cliff Weight is a Director of MM&K and has over 20 years' experience as a remuneration consultant. He specialises in advising companies on executive directors' remuneration, annual and long term incentives and non-executive directors' fees.